The Chiss were a tall, blue-skinned Near-Human civilization from the Unknown Regions, best known as the people to which Grand Admiral Thrawn belonged. Due to the remote position of their home territory in the Chiss Ascendancy they remained largely an enigma to the rest of the galaxy, and contact with outsiders was limited even in the days of the Galactic Alliance. -Glowing Eyes: The Chiss' eyes glow red, glow brighter in oxygen-rich environments, and are very noticeable in the dark. If a Chiss is trying to use the Sneak skill (or any other skills relating to visual stealth) they must close their eyes or hide them somehow, such as with goggles or a mask. If they do not, then enemies receive a +5 to their Search/Perception rolls to detect the Chiss. -Isolated: The chiss are not a usual part of galactic civilization and remain largely isolated until around 25-40 ABY. because of this, they may not know instantly how to use standard or common blaster weapons, starships and related systems, or the language Basic. Chiss may start knowing the trade language Minnisiat as well as their own language of Cheunh, and take Basic as a specialization in the Languages skill. Also, using unfamiliar technologies may be hard for a while for Chiss, making any repair skills one Difficulty level higher than normal until they make their first (few) attempts. After that, they become familiar with the technology like anyone else in the galaxy. VARIANT RULES: The Chiss were never officially created for WEG Star Wars D6 RPG. The closest relation given are the rules for Grand Admiral Thrawn in the sourcebooks for the Thrawn Crisis trilogy (Heir to the Empire, Dark Force Rising, The Last Command, also the Thrawn trilogy Sourcebook). Thrawn's statistics were within the boundaries for normal humans, and many near-human species are just like this with only cosmetic changes. Therefor, it should be noted that the Chiss could very likely have normal Human minimums/maximums for their attributes, and here, this is considered the dominant rule for their attributes. If you look below, there are variants available for those who feel differently (Also, please post your own variants if you feel different about these rules). The Chiss were marked out from the majority of mainstream galactic civilization by their height, pure blue skin, gleaming black hair, and glowing red eyes. Physically striking and instantly recognizable, and armed with a typically cool and disciplined manner, the mystique of the Chiss was further increased by the remote location of their territory in the Unknown Regions beyond the Outer Rim. However, this remoteness also meant that they were largely disconnected from the galaxy-spanning nexus of hyperspace travel and subspace communications that bound together the Old Republic, Empire, and New Republic in turn, and thus detached from the associated pan-galactic networks of economic, cultural and political contacts. There is, in fact, evidence that intermittent, clandestine and low-level encounters between the Chiss and groups within the Old Republic had been ongoing for perhaps four millennia prior to the era of the Galactic Civil War; but these encounters left no visible, lasting impression on the galaxy as a whole, and the isolation of the Chiss can be gauged by the fact that they remained largely unaware of standard languages such as Huttese and Basic, with communications with outsiders being conducted instead through local trade-languages such as Minnisiat. The pace of contact began to accelerate shortly before the Clone Wars, but it was only after the Battle of Endor that the Chiss became visible for the first time on the wider galactic stage ? largely due to the rise to prominence of the exiled warrior named Thrawn, a military genius who became the only non-Human Grand Admiral in the Imperial Starfleet. Thrawn's own Household Phalanx was personally loyal to him and his ideals, and allied with the Imperial forces that he brought to the Unknown Regions ? the faction that came to be known as the Empire of the Hand. The Chiss Expansionary Defense Fleet served the Chiss Ascendancy, which had exiled Thrawn in around 20 ABY for breaking its strict codes of military conduct, and which apparently commanded the loyalty of the vast bulk of the Chiss population. The frequent confusion between the C.E.D.F. and the House Phalanx was just one indicator of how little the wider galaxy knew or understood about the Chiss. Although Thrawn's fame ensured that they rapidly became one of the most iconic and instantly recognizable of all non-Human peoples, much about them remained mysterious to Galactic civilization at large, even as the Unknown Regions began to be opened up in the age of the Galactic Alliance. The Chiss and baseline Humans regarded each other as aliens, but genetic studies have indicated that the two peoples were close biological cousins, and it is not clear whether the differences between them were the product of straightforward evolutionary divergence and differing planetary habitats, or the result of genetic engineering similar to that which produced such hybrid species as the Massassi and Myke. Outwardly, the Chiss were distinguished from baseline Humans by three clearly visible traits ? blue skin, midnight-black hair, and glowing red eyes; but their blood was red. It is possible that these superficial features were the result of external factors in the biosphere of their ice-locked homeworld Csilla. Their coloration was said to be caused by the same atmospheric minerals that gave Csilla's glaciers their distinctive bluish tinge, and while less is known about the reasons for their distinctive glowing red eyes, an environmental reaction does seem to be involved, as Chiss eyes were observed to glow more brightly in more oxygenated atmospheres. Beyond these potentially superficial differences, it is not clear how far the Chiss diverged from Human norms. Although both Chiss and Humans speculated about distinct physiological differences, for instance in the vocal apparatus or skeletal structure, there is no firm proof of stark evolutionary differences. One theory put forward is that the Chiss were in fact descended from an ancient group of Human colonists who settled in the Unknown Regions long before the foundation of the Galactic Republic and were subsequently forgotten. There was, in fact, a Human sleeper ship colony established on Csilla around 27,500 BBY, though records of this were virtually nonexistent and it remained unknown how a remote area of the galaxy could have been trailblazed so far back. It does seem that the Chiss possessed a faster-than-average metabolic rate, leading to a distinctively lean physique and maturity considered reached at around age ten or twelve. The origin of the Chiss were largely unknown, even to the Chiss themselves though some scientists thought that they were the result of a long forgotten Human colony that had been lost to time. Genetic analysis in fact indicated that the Chiss were indeed an offshoot of the Human race's earliest attempts at colonization. It was believed that sometime before 27,000 BBY, a lost colony of Humans settled in the Unknown Regions on the planet Csilla. This new world later nearly became almost inhospitable when an ice age engulfed it in 5,000 BBY and it was only by living underground did this divergent species survive. It was this later act that furthered the genetic changes notably seen in their skin tone and eyes which marked the Chiss being very different from their ancestral race. The Chiss are believed to have been established on Csilla for some time: records made available in the last years of the New Republic suggested that they had been there since before the beginning of the millennia-long ice age in which the planet was then locked fast, and possibly since before the foundation of the Old Republic. By the time contact was made with modern Galactic civilization (which was right before the eruption of the Clone Wars), they had extended their frontier across a volume of space in the Unknown Regions, perhaps encompassing as many as several hundred thousand star systems, and they claimed to have been a major interstellar power in this area for at least ten centuries; but while Chiss space had been mapped by astrogation missions over the centuries, it was by no means fully explored, still less intensively colonized. Though the Chiss were not widely known to the greater galaxy, examples of their technology were known to exist as far back as 3,951 BBY when samples of their charric weapons were being sold on the planet Onderon. Around 1,000 BBY, the forces of Lord Kaan's Brotherhood of Darkness encountered the Chiss in the Unknown Regions and managed to bring a legion of them to the planet Thule. There, the Chiss that were born spread into the wider galaxy though they were relatively still unknown to many. The government on Csilla controlled 28 major colony worlds scattered across Chiss space, united in a political federation known as the Chiss Ascendancy. New Republic sources suggested that their interstellar expansion had been driven by the need to feed the large urban population of the capital, which had grown beyond the levels that Csilla could comfortably sustain, and estimated a total Chiss population for the Ascendancy of just less than five trillion. It is certainly true that newly-discovered frontier worlds such as Crustai were in the process of being opened up to large-scale settlement during the period between the Clone Wars and the Yuuzhan Vong invasion. Against this must be set rather more certain evidence that Chiss control over outlying systems such as Klasse Ephemora and Yashuvhu was tenuous, and Chiss space only occupied a tiny fraction of the Unknown Regions. Under normal circumstances, the Ascendancy's relations with the rest of the galaxy were governed by a strict formal policy of non-aggression backed up by strong defensive preparations; although the Chiss did not as a rule intervene in the affairs of others, outsiders were discouraged from encroaching on the untapped resources of the Ascendancy's territory by the threat of severe military reprisals against attackers. Although overt hostile action was formally required as a trigger for retaliation, simple territorial transgression could be interpreted by some Chiss patrol commanders as enough to constitute a violation. Differences of opinion over the rules of engagement evidently existed among the Chiss military and civilian hierarchy, but most outsiders seem to have been unaware of this. By 37 BBY, the barbarian Vahaari were raiding volumes of space close to the Ascendancy's frontier, but far more serious concerns were raised by the direct incursion of a force from another alien race a few years later. Although the aliens were destroyed by a fleet led by Admiral Ar'alani, it quickly became apparent that what had been encountered was only a small scouting force, probing ahead of a massive alien invasion force. The invaders were almost certainly the Yuuzhan Vong, although it should be noted that the living planet Zonama Sekot, itself fleeing from a Yuuzhan Vong assault, took refuge in a remote area of Chiss space at around the same time, and its arrival was detected by a CEDF deep space probe, but the Chiss did not understand the greater significance and identity of the planet, dismissing it as a natural system capture of a rogue planet. "Grand Admiral Thrawn's actions paint us in a dubious light. I understand the reluctance of many people to deal with us." -Jagged Fel to Jedi Master Luke Skywalker. In response to the threat of invasion, a vast interstellar fortress began to be prepared in the Redoubt Cluster, while Thrawn, then a young officer in the Expansionary Fleet, began to press for the abandonment of the hallowed doctrine that outlawed preemptive strikes. He believed that the Chiss could not place themselves in a situation where they were forced to fight against the Vagaari and the Yuuzhan Vong simultaneously, but while others like Admiral Ar'alani and his brother Syndic Thrass acknowledged the danger, they viewed his enthusiasm for combat and aggressive scouting with some concern. In 27 BBY, Thrawn's patrol encountered Corellian traders - the crew of the smuggler ship Bargain Hunter?marking what seems to have been the first modern contact between the Ascendancy and the Old Republic. Although initially suspicious of these outsiders, Thrawn decided that they were no threat, and he came to regard two of them, Jorj Car'das and Maris Ferasi, as friends. Far more dangerous incursions from the Republic followed within a few months. Outbound Flight, a massive exploration mission consisting of six Dreadnaught Cruisers led by Jedi Master Jorus C'baoth, had unwittingly scheduled a sublight flythrough of a system on the edge of Chiss space, and it was here that a powerful Trade Federation battlegroup stationed itself in order to intercept and destroy them, led by Kinman Doriana, a personal agent of Darth Sidious. Thrawn, investigating the Trade Federation ships and despite being hopelessly outgunned on paper, defeated them through superior tactics. Leaving the command ship intact in a move to secure face-to-face communication, Thrawn boarded the Trade Federation Battleship, leading to a meeting with Doriana?and a HoloNet discussion with Sidious himself?who persuaded him that the Jedi expedition could not be allowed to blunder into the Yuuzhan Vong. Although none at the time would know it, Thrawn's highly favorable first impression made on Palpatine would ultimately change the galaxy and its perception on the Chiss people forever. Thrawn engineered a clash between the Vagaari and Outbound Flight, weakening both sides to the point at which his small patrol force could effectively end both threats, but the resulting battle did not unfold according to his plan: while C'baoth was attempting to kill Thrawn using the Force, a remnant of the Vagaari force was able to flee to hyperspace, and a series of Chiss radiation bombs designed for the Vagaari command craft were unintentionally detonated aboard the Dreadnaughts. Although this killed the Jedi Master before he could kill Thrawn, the damage to the Republic expedition was disastrous. Of the fifty thousand personnel aboard Outbound Flight, only fifty-seven survived. The aftermath of Outbound Flight also revealed tensions within the Chiss power structure, as Aristocra Chaf'orm'bintrano tried to claim Outbound Flight for the Fifth Ruling Family. 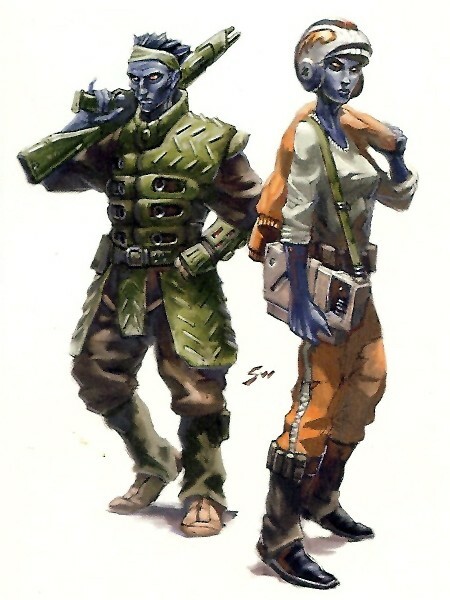 A handful of individual Chiss had participated in the Clone Wars, such as the Separatist commander and Dark Acolyte Sev'rance Tann and her lover, the bounty hunter Vandalore. "We are Syndic Mitth?raw?nuruodo?s Household Phalanx. We live only to serve him. And through him, serve the Chiss." Thrawn, persisting in his challenges to received wisdom, was exiled by the Ascendancy?but in 19 BBY, he was discovered and recruited by the Empire. For almost three decades, however, his true capabilities, and his true status within the Imperial hierarchy, were kept carefully hidden even within the ranks of the military. It appears that for much of this time, Thrawn was supervising a program of Imperial exploration and conquest in the Unknown Regions, joined not only by line elements of the Imperial military, but also by the Chiss warriors of his Household Phalanx. While the government of the Ascendancy turned their back on events beyond their borders, the influence of Thrawn's ideas continued to spread, and over the next forty years, a steady flow of CEDF defectors and civilian volunteers left Chiss space to join the House Phalanx. A few months after the Battle of Endor, a preemptive strike carried out by Thrawn's Empire of the Hand attacked the Ssi-ruuvi Imperium, effectively destroying the Ssi-ruuk as an interstellar power until they were revitalized a generation later by the machinations of Yuuzhan Vong agents. In 9 ABY, Thrawn left the Unknown Regions to take supreme command of the Empire's war machine, and launched his campaign against the New Republic. In spite of his death at Bilbringi, his legacy endured, not least in the form of the House Phalanx and their allies in what was now known as the Empire of the Hand. "You joined Thrawn, Fel! That's not the same as joining the Chiss. We have ways and traditions he turned his luck on, and by joining him you proved that you don't respect them, either." By 19 ABY, it would appear that the Empire of the Hand controlled a vast area of territory, up to thirty times the size of the Imperial Remnant within the Rim frontier. Yet the only recorded direct encounters with its forces took place on the largely uninhabited world of Nirauan. And while Nirauan is often described as the capital of the Empire of the Hand, the only settlement here, the fortress known as the Hand of Thrawn, seems to have served officially as a liaison post between the Remnant and the Ascendancy, with General Baron Soontir Fel apparently serving as a top-secret intermediary between Bastion and Csilla. The purpose of Fel's negotiations were unclear. Chiss paranoia was such that even in the Remnant's highest echelons, his mission and location were apparently largely unknown, and the Baron's sons, Davin and Jag, were required to enroll as cadets to a Chiss military academy, primarily as a hostage to ensure their father's integrity. By 22 ABY, Aristocra Chaf'orm'bintrano was experimenting with Thrawn's doctrines, negotiating secretly with the Imperials, and luring the resurgent Vagaari into starting a war. This Chaf'orm'bintrano bears bizarrely little resemblance to the haughty leader of fifty years earlier, who had condemned Thrawn's behavior and pursued the naked self-interest of his Family with such aggression. In the aftermath of the Third Vagaari War, the Chiss hired Killik laborers to work for them. Despite precautions made to prevent Chiss from being joined into the Killik hive mind, two Ruling Families were absorbed and three others became dependent on the Killiks' labor. This caused a disagreement that may have involved military hostilities, and the other four families (which Soontir Fel had apparently allied with) emerged victorious. During this conflict, the Household Phalanx and Empire of the Hand had seemingly integrated into the Ascendancy. 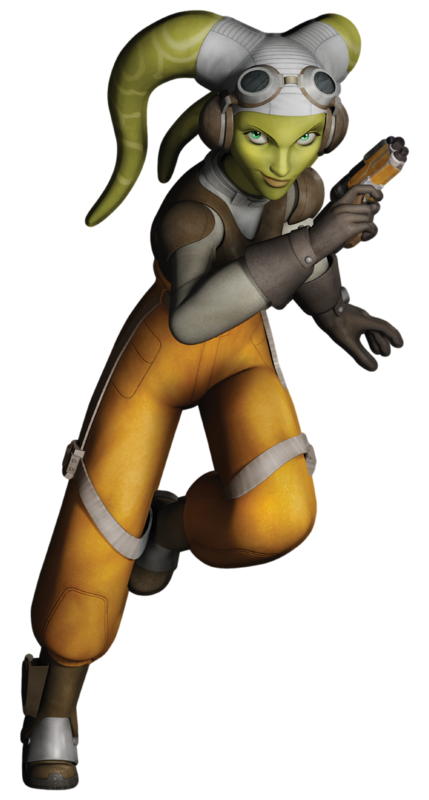 During 29 ABY, Fel had apparently been appointed to the senior position of Assistant Syndic in the Expansionary Fleet, and in 30 ABY, his son was named as the ambassador from the Ascendancy to the Galactic Alliance. By 35 ABY, Jag was serving as a Chiss military commander under Chaf'orm'bintrano in the first skirmishes of what would become the Swarm War. The Chiss continued to operate in the years that followed and became close allies of the Galactic Alliance by becoming of one of its Autonomous Allied Regions. These territories were allied with the Galactic Alliance but were free to manage their own regions of space. This continued till the year 127 ABY when they dispatched the diplomat Fehlaaur'aitel'loro to the planet Bastion of the new Galactic Empire. Serving the role of a diplomatic envoy, he was placed in the service of the Imperial Diplomatic Corps as a sign of solidarity between the Chiss Ascendancy and the Empire. During that time, the Galactic Alliance suffered greatly for the incident surrounding the Ossus Project which served as an incentive for the Empire to declare war against them. When the Chiss learnt of this, they attempted to recall Fehlaaur as they did not want to be dragged into the resultant conflict. However, Emperor Roan Fel decided to grant the title of Moff to Fehlaaur in order to secure the continued support of the Chiss Ascendancy. Furthermore, upon his appoint to the Council of Moffs, he was promoted as director of the Imperial Diplomatic Corps. With the formation of Darth Krayt's Sith Empire, the Dark Lord of the Sith kept the allegiance of the Chiss Ascendancy by way of diplomacy. This involved promoting many members of various Chiss houses to high ranking positions within his Empire. Furthermore, he allowed the Chiss Ascendancy to retain its position as being a power within the Unknown Regions and thus they served as a proxy to his Sith Empire's rule over that area of space. During the later conflict against Roan Fel and the One Sith, it was suspected by Rulf Yage that the Chiss were sheltering Emperor Fel, though Fehlaaur denied this allegation in a session with the Moff Council. "The Chiss do not ask to be judged, Master Skywalker. Not by you; not by anyone." Even in the era of the Galactic Alliance, the wider galaxy seems to have had no direct contact with Chiss civilians. What was known about them was, as mentioned above, they mediated largely through encounter with military units, and through a few high-level contacts with political and diplomatic delegations. It is perhaps no surprise, then, that the military and the ruling class were the best understood aspects of Chiss society; or at least, the best documented. "You do not need to know who acts on behalf of the Chiss. We represent everyone." -Unidentified Chiss Ruling Family Member. Much of the political power within the Ascendancy seems to have rested with a group of affiliations known as the Ruling Families (or sometimes "Ruling Houses"), which seem to have had features of both lineage-groups and specialized castes, and who between them provided leadership for the Chiss in all aspects of society. One level, the Ruling Families were, as their name suggests, defined by blood relationships; but while lineage undoubtedly played an important role in the structure of the Families, merit also had a part in defining membership. Formal processes of advancement existed by which commoners could achieve status in the Family hierarchy. A study of Chiss society produced by the University of Sanbra in the last years of the New Republic claims that the Family lineages stretched the length of Chiss history and spanned the breadth of the Chiss population, so that every Chiss was associated with a Ruling Family; but if this is correct, the mechanisms of advancement make it clear that there was a division between those who were actual members of the Families, and those commoners who were merely affiliated to them. The best-documented means of acquiring Family status through merit was that which operated in the military. For the duration of their service, every officer in the Chiss military was attached to one of the Ruling Families as a "merit adoptive", and while under normal circumstances, this Family status was lost when an individual left the service, those of particular ability were said to be "born to trial", and given the opportunity to make their Family status permanent. If these Trial-born of the Family were successful, they would be permanently "matched" to the lineage; conversely, members of a Ruling Family could apparently also be "released" and "rematched", although it is even less clear how this processes operated. It is possible that marriage was involved in matching, although no mention is yet known that indicates an institution of marriage among the Chiss. There was a hierarchy of leadership within each Family, consisting of brothers and sisters (known collectively as siblings), plus cousins, and ranking distant relations?the last being the highest level that the most able Trial-born could reasonably hope to achieve. Individuals with the ranks of Aristocra and Syndic also served as high-level representatives of the Families, with seemingly plenipotentiary powers, though an Aristocra could hold only collateral rank within the internal hierarchy, and a Syndic at least could be Trial-born. Chiss officers serving alongside the New Republic during the Yuuzhan Vong war indicated that the highest structures of power and influence within the Family hierarchies were kept largely secret from those outside them. It is likely that an Aristocra or a Syndic was typically a proxy for these unseen leaders, but when a Jedi delegation visited Csilla in 29 ABY, they were met by ostensible leaders of the Ruling Families whose identities were concealed by hooded cloaks in what appear to have been symbolic shades of color denoting their bloodlines. In spite of the outward impression of calm and order that the Chiss liked to project to outsiders, there were evidently tensions within the Families. In 27 ABY, the Chaf were prepared to incite civil war if it would give them superiority over the other Families, and political assassinations were apparently a real part of Chiss political life for the Ruling Families and other allied kin-groups. A tradition of shadow children is recorded, offspring who were kept safely anonymous to prevent a family bloodline being fully extirpated. In 27 ABY, the Corellian spacers who encountered the Ascendancy were told that there were at that time nine Ruling Families, though at various times in Chiss history, the number of affiliations was said to have fluctuated from three to twelve. The Fifth Ruling Family were the Chaf, who wore yellow, and apparently held a specific portfolio for diplomacy and foreign affairs, while the Second and Eighth Ruling Families shared a military oversight role. It was to the second of these two Families that Thrawn and his brother Thrass belonged; they wore dark red, and naming patterns indicate that they were known as the Mitth Family. This situation seems to have held constant until 22 ABY, but in the University of Sanbra study mentioned above, written about five years after this date, only four lineages were identified, with no hint that this situation was anything other than immemorial. According to the Sanbra report, House Csapla was responsible for relationship between Csilla and the colony worlds, and the associated distribution of foodstuffs and the allocation of economic resources. House Nuruodo was responsible for relations with outsiders, including control of the CEDF?a role which suggests that they should be identified with the earlier Second Ruling Family. House Inrokini was responsible for technological research, manufacturing, and the information infrastructure. And House Sabosen was responsible for law and order, healthcare and education. The cloaks of the representatives encountered in 29 ABY, in bronze, rust-red, gray and copper-green, implicitly represented the colors of these families. "You see, the Chiss are taught from the earliest days of training that it is not the person holding the position that is important, but rather the position itself. Individuals must allow themselves to be subsumed into the role society expects them to play. If you asked for someone by name, they would on principle not talk to you. If you asked for them by rank, however, they would not hesitate." Given the caveats noted above, it is perhaps best to treat the rest of the University of Sanbra material on Chiss government with some caution, in emphasis if not precisely in content. The report claimed that the twenty-eight colony worlds were led by "appointed governors, or House leaders". Perhaps unsurprisingly, it is not entirely clear whether this phrase signifies one group or two: the Sanbra information says that they were all elected in a "democratic" manner, but other evidence suggests that the Ruling Families had significant authority in at least some colonies, and the title of House leader suggests at an association with the quasi-dynastic Families (especially as they are called Houses in the Sanbra material). Whatever the case, it but it seems that the planetary leaders held executive authority on their own worlds?for instance, House leaders "usually" appointed the commanders of the Colonial Phalanxes?and they also came together to form the Chiss Parliament, sitting in a building known as the House Palace, located on Csilla in the capital city of Csaplar (the name of which seems obviously related to that of House Csapla). However, the federal powers of these representatives, who seem to have been known collectively as "Senators", were largely limited to voicing concerns that would then be responded to by a central oligarchy, consisting of the Family hierarchy?perhaps in the form of the Council of Families mentioned in 27 BBY?acting in conjunction with the Cabinet, a cadre of administrative officials appointed by the Families themselves. It was this ?lite that was apparently responsible for all aspects of policy and strategy, shaping and directing Chiss society across the Ascendancy through controlling the allocation of resources in a highly-controlled and money-free command economy. The best-documented element of the Chiss state was the military, but even here, there are many uncertainties. The front-line armed forces of the Ascendancy were referred to variously as the Chiss Expansionary Defense Force or "Chiss Expansionary Defense Fleet", and sometimes by the acronym "CEDF", or by shorter forms such as "Chiss Expansionary Defense", "Chiss Expansionary Force", or "Chiss Defense Fleet". The Defense Fleet was charged with repelling invasions of the Ascendancy and patrolling the systems firmly inside the Ascendancy's borders, but little is known for sure about its strength or organization, except that it seems to have been the senior arm of the CEDF: Admirals of the Defense Hierarchy took direct command of Defense Fleet battlegroups, and also held oversight over the Expansionary Fleet. The mandate of the Expansionary Fleet, in contrast, was defined as guarding the Chiss frontier and exploring unknown space beyond the edge of the Ascendancy, and its forces included Picket Forces commanded by officers known as Force Commanders (sometimes shortened to Commander; Crahsystor in Cheunh). The best-known of these frontier units is Picket Force Two, which in 27 BBY apparently consisted of three light cruisers, each with three fighter escorts, plus a further five fighters and two transport shuttles at their asteroid base in the Crustai system. Adding to the confusion is a variety of evidence for other Chiss military forces operating alongside, and sometimes in opposition to, the black-uniformed personnel of the Expansionary Fleet and the Defense Fleet. Thrawn's Household Phalanx has already been mentioned, and in 27 BBY, the Chaf Family were also observed to deploy military forces of their own, capable of deploying nine light cruisers at short notice, in an effort to overwhelm an Expansionary Fleet picket force. Just as some of Thrawn's warriors would later wear the burgundy colors of the Ruling Family to which Thrawn belonged, many Chaf Family personnel were observed at this time wearing uniforms in the yellow of the Family they served. These Chaf Family forces are never called a Household Phalanx, however, and there is thus no clear evidence whether there was a precise parallelism between the two. Further complicating matters, the University of Sanbra study does not mention House forces directly, but makes a clear-cut distinction between the CEDF, whose duty was to guard the frontier and retaliate against attacks, and the Colonial Phalanxes which guarded the twenty-eight colony worlds of the Ascendancy. The Sanbra material says that Colonial Phalanxes were designed to provide reinforcements for the Expansionary Defense when required, but also states that they were answerable under normal circumstances to "House leaders" rather than the Defense Hierarchy. Additional to all this, of course, were the forces of Thrawn's rogue Household Phalanx: in 19 ABY they could deploy at least a hundred Blastboat-sized TIE scouts, and in 26 ABY they deployed a wing of 36 Clawcraft at Garqi and Ithor. It is likely that overall numbers were significantly larger, and the Nirauan garrison may have included distinct elements of infantry and gunnery specialists, but is not known whether the Phalanx maintained any major surface-warfare or capital ship forces. -Defense Fleet?defensive fleet units under the authority of a central high command. -Expansionary Fleet?frontier patrols and exploration missions. -Colonial Phalanxes?planetary militias guarding the Chiss colony worlds. -Household Phalanxes?paramilitary guards loyal to the aristocratic Ruling Families. -Chiss warriors fighting for the Empire of the Hand?including Thrawn's rogue House Phalanx and possibly also other Chiss personnel among the "forces of the Empire". The situation is only rendered more complex when it is considered that the different organizations may have overlapped considerably. For example: the Defense Fleet seems to have had oversight over the Expansionary Fleet, and both were certainly combined within the "Expansionary Defense", and it is possible that a House Phalanx could also be a Colonial Phalanx, but if so, that does not mean that every Colonial Phalanx was a House Phalanx?some of the colonies may have been controlled by democratic leaders or state-appointed governors rather than Family leadership. By the time of the Swarm War in 36 ABY, the CEDF could deploy a powerful fleet of thirty Chiss Star Destroyers in the Battle of Tenupe, with each Star Destroyer massing more tonnage than an entire Picket Force of sixty years earlier. Sizable forces of armored infantry and artillery were deployed by dropships at the Battle of Tenupe, but their position in the order of battle is unknown, and apart from the bodyguard details who typically accompanied senior figures, the only other surface-army soldier known to have been directly encountered by outsiders was General Prard'ras'kleoni, the senior military officer on the Chaf Envoy's mission to Outbound Flight in 22 ABY. He identified himself as a ground officer and also as an officer of the Defense Fleet. Many of these forces have been trained since early childhood to be soldiers or commanders in the Chiss military. Some selected few that showed exceptional dedication was given the honor or extra training and medical advances from the science community. Some of these advances including biochemical re-engineering that produced results of accelerated healing (i.e. quick healing of wounds, cuts, and abrasions) and immunizations to toxins and poisons. During the Swarm War, the Chiss made use of commando units that were deployed on specialist tasks such as the placement of vape charges on selected locations. They wore camouflaged color-shifting, fractal-pattern armor that allowed them to sneak across battlefields with ease, and carried demolition satchels and charric guns. They did not fear death and would sacrifice themselves if necessary to their cause. One notable engagement was a commando squad attempting to destroy a crashed Chiss vehicle. Much of the Chiss rank structure seems to have paralleled the patterns that would have been familiar to contemporary Basic-speakers, though it is unclear how much the semantics of the original Chiss terminology survived the translation from Cheunh, and most Chiss ranks can be read as titles reflecting officers' specific roles, rather than elements of an abstract hierarchy comparable to the militaries of mainstream Galactic civilization. The title of Commander was common, denoting the officers in charge of many elements, varying from a cadet squadron upwards through a frontier patrol and a space station, to a major fleet unit. Junior officers, including personnel in cadet units, were titled Lieutenant, while the ranking officers of naval ships were styled Captain. Some senior ground-combat officers serving with the Defense Fleet bore the rank of General, while the rank of Admiral was used by senior officers of the Defense Hierarchy. There is as yet no direct evidence that other conventional ranks, such as Major and Colonel, existed outside the Imperial-influenced forces of Thrawn's House Phalanx, and it is only after 35 ABY that clear evidence exists of CEDF officers using styles like Commander and Captain as substantive ranks, formally equivalent with Galactic Alliance command structure: previous examples may be looser titles denoting position. Other primarily positional titles included Chief Engineer, held by Yal'avi'kema of the Springhawk in 27 BBY, medical officer, used by Baltke of the Fell Defender in 36 ABY, and Chief Nagicator, apparently a very senior title within the hierarchy, borne in 29 ABY by the Human ex-Imperial officer Peita Aabe. At the same time as Aabe was Chief Navigator, another ex-Imperial, Baron Soontir Fel, was introduced as Assistant Syndic of the CEDF, seemingly another very senior post. This implies an even more senior position of Syndic, perhaps analogous to Supreme Commander, and Syndic was also cited in one New Republic source as the title of Colonial Phalanx commanders; but Syndic is also more clearly recorded as a political position associated with at least some of the Ruling Families. Most Chiss military personnel encountered by outsiders wore sharply-cut black uniforms, varying according to rank and occasion from ornate ceremonial dress to practical combat jumpsuits. All uniforms appear to have carried at least a little colored trim, increasing in quantity on more formal attire, and alongside the essentially horizontal divisions of uniform style, further lateral distinctions separated officers whose uniforms bore different colored flashes. These apparently denoted affiliation to one of the Ruling Families: the young Force Commander Mitth'raw'nuruodo bore red flashes which indicated his status as a member of the Mitth Family, and General Prard'ras'kleoni also wore red, while Captain Brast'alshi'barku of the diplomatic ship Chaf Envoy had green tabs, and some junior personnel aboard the Springhawk had shoulder straps displaying a combination of blue-and-yellow. Sometimes, colored trim may have had a meaning that was not directly related to Family allegiance. Red seems to have had martial associations: red piping was worn by military cadets at Rhigar, for whom it represented a military ideal known as Red Flame, which may have been of significance throughout Chiss society, while the Mitth Family, with their burgundy colors, were one of the two Ruling Families with political oversight over the military. In contrast, the occasional non-Chiss allowed for political reasons to train at Chiss military academies were distinguished by blue piping, and this usage may also explain the mixed blue-and-yellow colors used by some warriors; these may have been commoners given status as merit adoptives of Ruling Families at the start of their military service, their status denoted by combining Family colors with blue, rather than the pure color that would reflect permanent affiliation by birth or merit. Regardless of these details, one thing that is clear is that the aesthetic of Chiss military uniforms was part of a wider visual pattern, in which specific colors were associated with specific social groups. The black uniforms of the Defense Force represented the fact that personnel were drawn from all branches of the Chiss community, black being perceived as a combination of all the colors. In contrast, an Admiral of the Defense Hierarchy wore gleaming white, and given that Admirals also renounced Family allegiance, this probably indicates a removal of all color. Individual colors were worn by civilian and paramilitary personnel from the various Ruling Families. The diplomats of the Chaf Family dressed in yellow clothes offset against varying quantities of gray trim according to status, while their guards, probably Household Phalanx warriors, wore yellow jumpsuits. The Mitth Family, as noted above, wore red, and here again, Family representatives wore gray trim, but it the various combinations of black-and-burgundy worn by officers of Thrawn's Household Phalanx require further discussion. Since warriors of the Chaf Family wore yellow uniforms, it might be thought that the basic color of Mitth Family House Phalanx uniforms should have been burgundy: Syndic Mitth'ras'safis wore burgundy with gray trim and Thrawn wore red trim on his black uniform as a Force Commander in the Expansionary Fleet. But although burgundy uniforms with black collars were recorded when Thrawn's House Phalanx were first encountered in 22 ABY, most subsequent references describe Household Phalanx troops in predominantly black uniforms red trim, and sometimes simply in black; at Ithor in 26 ABY, the House Phalanx pilots under Jag Fel's command wore white uniforms, a color otherwise associated only with the senior command personnel of the Defense Hierarchy, and seemingly more appropriate for an Admiral's guards. On this occasion, Jag himself wore a uniform and flight suit remarkably similar to those of his father's former unit, and the black uniforms of some Phalanx personnel may simply be Imperial lancer tunics and flight suits: even the burgundy-uniformed troops on Nirauan wore Imperial rank insignia, and the red piping sometimes mentioned on Jag's uniform could denote House allegiance, or else echo the uniforms worn by Baron Fel's former command, the 181st Fighter Wing. Alternatively, just as military personnel and civilian Family representatives wore varying quantities of House color on a neutral background?black for soldiers, gray for house dignitaries?it is possible that the black on some House Phalanx uniforms represents a "military" trim, and that these "black" uniforms are in fact red uniforms where the alternative color predominates as an indication of some specific status. Given these confusions, it is perhaps no surprise that it is not always clear just who the Chiss troops encountered by outsiders were loyal to. In 29 ABY, when a Jedi delegation visited Chiss space, personnel supposedly from the CEDF were described as wearing uniforms with extensive burgundy or purple predominating over the black fabric, but we cannot tell on current evidence if these were simply ceremonial CEDF uniforms decorated with deep shades of red, or if these were really Phalanx personnel masquerading as CEDF officers, or if their uniforms indicated something else entirely. The Chiss language, Cheunh, was complex and densely constructed, expressing complicated ideas by combining smaller elements into intricate words and phrases. It was hard for outsiders to understand, and the Chiss believed that it was quite impossible for non-Chiss to learn to speak it properly. Linguistically, Cheunh was highly synthetic, which is to say that complex meaning was conveyed by forming compound words from conjunctions of sense-bearing word-elements known as morphemes. While not unusual as a linguistic principle, synthetic construction appears to have been taken to extremes by the Chiss, and it may be that communicating in Cheunh required a conscious awareness of individual morphemes and phonemes and a subtle ear for complex linguistic relationships, far more than was demanded of, for instance Basic-speakers. Such a sensitivity would also explain the remarkable acuity shown by at least some Chiss in picking out important recurring agglutinations from long phrases of alien languages that they had not previously encountered. One factor that certainly added to the complexity of the language was the fact that written Cheunh was not set down in a phonetic alphabet like the Aurebesh, but rather, assembled using ideograms. At least some phrases in the language were highly idiomatic ? the pejorative moactan teel literally meant "fair-haired", implying that something about the addressee was non-Chiss, and thus barbarous. Chiss names were composed of three distinct sections, usually following the convention of the first and last being family names and the middle being the given name. Abbreviated versions of these, known as "core names", were reserved for use among friends and acquaintances. However, this policy was apparently eschewed when dealing with outsiders who had trouble pronouncing Chiss full names. The predominance of core names, at least in communication with outsiders, was such that a number of such names were recorded without the full name being known, such as Prakk, Kayree, Lev, Szardra, Voss and Zilvad. Apparently, the core name was typically formed by combining the short central section of the name with the last sound of the preceding section and the opening sound of the following. For example, Mitth'raw'nuruodo was Thrawn, Kres'ten'tarthi was Stent and Brast'alshi'barku was Talshib. The female officers Hess'irolia'nuruodo (Irolia) and Ina'ganet'nruodo (Ganet) appear to be exceptions to this rule. The Chaf diplomats Chaf'orm'bintrano ("Formbi") and Chaf'ees'aklaio ("Feesa") bore the name of the Ruling Family to which they belonged as the first element of their full name, and this also defined the opening sound of their core name. Likewise the brothers Mitth'raw'nuruodo and Mitth'ras'safis were both (adoptive) members of the Eighth Ruling Family, suggesting that this family was known as the Mitth. A similar family relationship is implied between General Prard'ras'kleoni ("Drask") and Station Commander Prard'enc'iflar, although it is not known whether "Prard" is one of the Nine Ruling Families. Senior Chiss military personnel surrendered Family status on assuming high command. Admiral Ar'alani of the Defense Hierarchy and possibly Sev'rance Tann of the CIS seem to have eliminated their Family designation from their names. The Fel Empire and later Krayt Empire Moff Fehlaaur'aitel'loro was consistently addressed by his fellow Moffs as Fehlaaur, the section usually reserved for the family name. Another Chiss with an anomalous name was the important historical figure Jer'Jo Cam'Co, a Syndic and one of the founders of the Ascendancy. "Chiss don't invade the territories of others. We don't even make war against potential enemies unless we're attacked first." One major problem caused by the distance which the Chiss keep from outsiders is the relative paucity of evidence for their culture outside of the fields of language, society, and military culture. One feature that can be noted is the distinctive Chiss mode of dress. The Chaf family and their retainers wore yellow, adherents of the Mitth and Nuruodo affinities may have worn shades of red, and the Csaplar, Sabosen and Inrokini families apparently dressed in gray, bronze and green. The quantity of color also denoted status: black, perceived as a combination of all the colors, served as the base color of military uniforms, and a neutral gray backing was used on the formal dress of civilian House representatives like an Aristocra or a Syndic. Garments were also tailored from an asymmetrical patchwork of subtly contrasting textiles. As alluded to above, at least some elements in the Chiss military are known to have prized a warrior ideal known as the "Red Flame"?a combination of courage, discipline and cunning; and this is an ideal that, at first glance, Thrawn could also be said to have embodied. But such values have been traditionally common to many military organizations, and the practical demands of military discipline in the armed forces do not in themselves require a philosophical collectivism in mainstream civilian culture. One observed cultural trait that does seem to have had a wider cultural cachet is a stress on conformity and consistency. There are hints at a social structure stratified to the point of frigid immobility, suggestions that traditional ceremony and polite behavior were regarded as important factors in ensuring social stability, and, more clearly, evidence for a culturally-predicated reluctance to acknowledge change or difficulty. The opposition to preemptive strikes was, however, an issue on which Thrawn disagreed emphatically with convention; and it may not be over-emphasizing the contrast to further note that where the ethos of the CEDF placed a firm stress on self-restraint, obedience and success, placing these qualities ahead of individualism, inspiration and commendable effort, the Grand Admiral is known to have encouraged personal initiative and rewarded creative thinking even when the outcome was less than perfect success. Moreover, where Thrawn showed a keen interest in understanding the unique cultural, aesthetic, and ideological traits of alien species, more traditionalist Chiss seem to have regarded the distinctions between Chiss and non-Chiss as insurmountable. The contrast between Thrawn's followers and traditional orthodoxy can be seen more clearly if we consider the early career of Jag Fel, one of the few non-Chiss to have served with either the CEDF or the House Phalanx (and at times an officer with both). As noted in the previous section, political reasons led to Jagged being trained and commissioned as an officer in the Ascendancy's military arm, but while expediency made it necessary for the Chiss to tolerate the presence of a Human in their ranks, the actual concept of his being there was akin to a joke in questionable taste. Jag's subsequent departure from the Ascendancy to join the House Phalanx is unlikely to have represented an enthusiasm for Chiss tradition; but he did not leave the wider frame of Chiss culture: he continued to fly and fight with Chiss pilots in the House Phalanx, surpassing their standards of excellence and earning their respect and allegiance to the point that his squadron elected him as their commander. While capable aliens might earn the personal and professional respect of those Chiss who had the opportunity to work directly alongside them?as Jag had done with Shawnkyr Nuruodo, and as his brother Chak Fel did with General Drask?it would seem that the Phalanx was more open to acknowledging outsiders than the CEDF. Baron Fel's son did not embrace the culture and values of the Chiss Ascendancy; indeed, conventional Chiss wisdom regarded it as impossible for an alien to do so. Rather, Jag saw himself as specifically motivated by a loyalty to Thrawn's legacy and ideals, and in his eyes, these were centered on a military independence from political concerns, and a high-minded belief in the proactive use of force in defense of moral ideals. What is certain is that, whether due to abstract principles, specific circumstances, or a megalomaniacal personality cult, Thrawn commanded the impassioned loyalty of his followers and allies, Chiss and non-Chiss alike, a devotion comparable to that inspired by some of the worst dictators and greatest leaders in known history. It is hard to quantify the effect of such a figure on a society, and no schematic explanation is likely to adequately express it. Thrawn's influence is a reminder not only that Chiss culture was broader than the glacial monolith of orthodoxy, but also that, while across a species?or culture?specific factors such as language, ideology and conceptual framework may bind people together into cohesive groups, other elements are at work, such as personal charisma and inspiration, which simply transcend the differences and definitions that people think of as defining themselves. As a people, the Chiss were intelligent as well as highly valuing their privacy. This extreme protection of their society was what allowed them to remain hidden from the rest of the galaxy for so long. They were described as being pensive as well as contemplative, deliberate and calculating. This meant that they often studied situations from many different viewpoints. As such, they considered all alternatives to a situation and even noted down scenarios on what would have happened if they had made a different decision. In combat situations, Chiss acted both calmly and intelligently as well as formed well planned strategies. In terms of personality, they often displayed a cold, arrogant and disciplined behavior. Amongst the Chiss, there was no period of adolescence as their children matured early and were given adult responsibilities very quickly. Scientists believed that they essentially bypassed the adolescent stage and reached maturity quickly. By the age of ten, they were ready to join military service and wear cadet uniforms. The species were highly reserved in their emotions and often did not display feelings openly; either by smiling or by warm gestures. As such, they rarely were vocal about any feelings of anger or frustration though they did possess some curse words to employ should the situation warrant such an expression. Though this was the impression projected, the Chiss were also a thoughtful people. While they were deliberate and calculating, they were not above wondering about how certain events might have turned differently had circumstances been altered. In fact, whenever a Chiss suffered a setback or even a defeat, they often contemplated what might had been done differently in order to ensure that a victory was achieved in the next engagement. Chiss were noted for possessing an unparalleled aptitude for tactical thinking. The ideals of the Chiss were idolized in the form of the Red Flame. Their society was highly structured and ordered with the rule of law being enforced by the ruling families. These were not biological family groupings but instead different branches of their government. As a general rule, Chiss did not take part in any action that would bring shame on their house with entire family lines exiled due to the actions of a single member. They also did not celebrate until their duty was completed as any celebrations made before such an event were considered false. Despite this, they were highly committed in their duties and a Chiss warrior if given an order would carry it out even if they disagreed with it which highlighted their belief in the chain of command. It was also known that the Chiss as a culture had an aversion to suicide and expendability as they found those actions to be wasteful. Though this was the case, there were occasions where Chiss gave their lives rather then surrender. In such circumstances, this was either due to the importance of the strategy for their people or because surrendering to a certain foe was considered a fate worse than death. The Chiss had a keen interest in art and science and were skilled in mathematics. 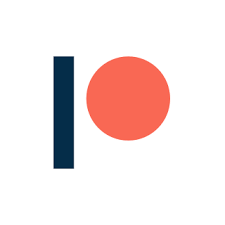 Their thought processes were based around a logical mindset which meant that they were interested in philosophy and in learning about other cultures. On the other hand, they were also xenophobic and any knowledge they gained from other cultures was used as a means of gaining a advantage over a potential foe. One notable group of individuals that were involved in deep contemplation were Chiss sages who studied the threat of the Yuuzhan Vong and concluded that the extragalactic invaders must had spent countless generations traveling through the void between galaxies. This clinical detachment was similar to how a biologist studied an insect which was how the Chiss view their foes and they often engaged in extreme caution in such circumstances. When among non-Chiss, individual members of the race were often aloof and pensive as they plotted tactics which would ensure a victory if a confrontation were to occur. Chiss never truly lost their xenophobic instincts, even when they were amongst members of other species for long periods of time. Despite this xenophobia, they were at times willing to accept members of other races into their ranks so long as they proved to be exceptional as well as trustworthy individuals. Ultimately, the Chiss were considered an honorable people who did not kill more than they thought was necessary to accomplish their goals. However, they were not above using biological weapons of mass destruction against a foe should it be felt that their survival was threatened. It was believed by many xenosociologists that the rigid and disciplined nature of Chiss society stemmed from their cold environment on their homeworld. They were noted for displaying no signs of decadent or greedy behavior and thus it was concluded that any signs of colonial expansion were mostly due to the Chiss desiring to put order onto chaotic locations. In addition, they believed firmly in the chain of command as well as positions of authority. In fact, Chiss were taught to respect the position itself rather then the person holding that title. As such, Chiss often responded when an individual called out the rank rather then their name. "You have to admire the Chiss. They don't just steal your technology?they make it better." A major problem with understanding Chiss technology is distinguishing specifically Chiss elements from its wider context. 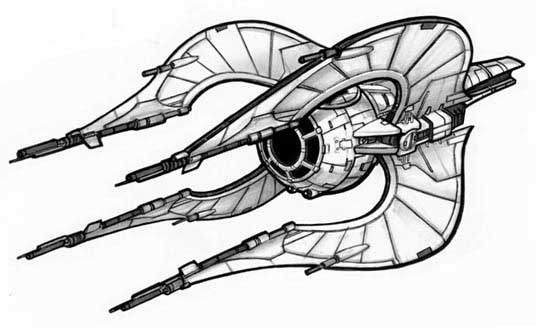 For instance, the celebrated Nssis-class Clawcraft was a hybrid of Imperial and Chiss technology, and may have also involved the input of other species. Some Chiss structures were starkly angular, perhaps inspired by the icy geometries of Csilla's glacial landscape. We can note the double-pyramid shape of the Brask Oto space station in the Redoubt, and the angular, faceted hull-design of the ships of the Fifth Ruling Family, such as Chaf Exalted and Chaf Envoy. However, the distinctive design of these ships was highly symbolic, designed to identify them as Chaf Family consular ships and even to identify the specific status and lineage of the Family members they carried. Combat warships of the Expansionary Fleet had far more curved and fluid hull-lines. A few specific elements of Chiss technology were observed by outsiders. The Chiss, like many peoples in the Unknown Regions, did not use droids, and many Chiss ships were slaved to a network of hyperspace beacons rather than equipped with independent navicomputers; but it is important not to mistake departure from Galactic standards for backwardness. In spite of the lack of droids, many Chiss ships were highly automated?a cruiser more than two hundred meters long had an operational crew of less than thirty?and prior to the Clone Wars, their frontier pickets, which operated beyond the beacon network, had precise hyperdrives and navicomps capable of making lightspeed microjumps as tactical maneuvers during combat. Their drive system was highly advanced to the point that few ships could match a clawcraft in terms of maneuverability though their hyperdrives were known to malfunction at times. As such, all Chiss vessels possessed an emergency mechanism that allowed them to eject their hyperdrives. The Chiss typically did not see any use in droids as they found them to be slow and vulnerable in combat engagements. Soontir Fel during his time among their Chiss attempted to influence their ways by explaining that expendability was a useful asset in battles with droids giving a crucial element in such engagements. To show the Chiss the advantage in droids, he and a group of engineers began working on a prototype droid fighter. It was known that an initial analysis of Chiss weapons through sensor scans led to an unknown form of offensive weaponry. However, a cursory glance indicated that their fighter craft were equipped energy weapons, projectile weaponry and an unknown form of missile launcher. As such, it was easier to say that Chiss weapons technology was different from that of the Republic than to compare it qualitatively. For example in place of ion cannon, Chiss warships used missiles that deployed charged Connor net-like weapons called shock nets that could reach up to a kilometer wide, which could disable and trap light freighters, entire formations of starfighters, or even incoming missile salvos. The Chiss used a unique type of energy weapon, the charric. This weapon fired a lancing blue beam, sometimes described as a maser, which delivered thermal energy comparable to conventional blaster weapons coupled with a much greater kinetic punch, but lacked a stun-setting. Low-power shots instead administered disabling burns. 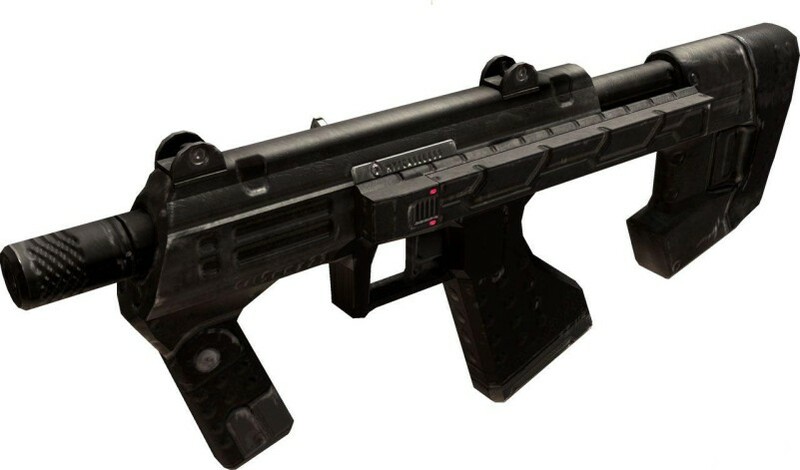 The most common form of charric was a hand-held carbine, but pistols are also known, and larger versions of the weapon were carried by some starfighters, and included among the heavy weapons batteries of capital ships and bases. In the years before the Clone Wars, it would appear that Chiss beam weapons were limited to charric energy, but by 19 ABY, the Household Phalanx base at the Hand of Thrawn mounted both turbolasers and heavy maser emitters, while both Chiss-style weapons mounts and standard Sienar Fleet Systems blasters were observed on various TIE variants flown by Phalanx pilots. By the time of the Swarm War, the CEDF had certainly adopted standard blaster and laser technology alongside maser weaponry: Chiss Star Destroyers mounted turbolasers alongside megamasers, while their heaviest tactical artillery pieces, known as MetaCannon, were capable of being configured to fire charric beams, blaster bolts, or physical artillery shells. In later decades, some Chiss devices were highly advanced. Examples included chameleon-cloaked armor that enabled infantry to blend into the terrain, and long-range tracers that activated only in hyperspace, enabling its users to track targets across Galactic distances without transmissions being picked up by standard security scans. The Chiss also made use of more sinister uses of technology and had no ethical objections to their deployment in wars. This was seen in the development of the Parasite bomb bio-weapon and their use of deadly radiation bombs. They also worked in conjunction with the Galactic Alliance on their Alpha Red virus. -Csilla: ice-girt homeworld and political capital of the Chiss. Site of the city of Csaplar and the Expansionary Library. -Sarvchi: colony world from where Chaf'orm'bintrano sent a message to the Jade Sabre in 22 ABY. -Crustai: colony world where Chaf'orm'bintrano later rendezvoused with the Jade Sabre en route for Outbound Flight. -The Redoubt: dense star cluster developed as an interstellar fortress by the Chiss. Site of Brask Oto and the unnamed planet on which Outbound Flight came down. -Brask Oto: CEDF space station serving as the barbican for the Redoubt. -Tenupe: captured from the Killiks during the Swarm War. -Thrago: site of a CEDF supply depot anchored around a small moon, destroyed by rogue Jedi in 36 ABY. -Rata Nebula: an H II region, within which lies the system containing Rhigar. -Rhigar: site of a Chiss military academy in the Rata Nebula, with three moons: the green-hued Asdroni, the forest moon Rhigar 2, and the more distant, blue-tinged Rhigar 3. -Klasse Ephemora system: remote hinterland system surrounded by navigational anomalies, centered on the star Klasse A; location of the gas-giant Mobus. -Mobus: gas giant in the Klasse Ephemora system. Zonoma Sekot sought refuge in a lunar orbit around Mobus after its flight from its home system in 29 BBY, and from 30 ABY, Zonama Sekot was resettled by the Yuuzhan Vong remnant. -Nirauan: home to a large House Phalanx garrison at the Hand of Thrawn, nominal liaison post between the Imperial Remnant and the Ascendancy, also command post for the Empire of the Hand. We might revisit the Chiss when we reach Thrawn's introduction in Rebels, but we'll have to check what of the above is canon, and what isn't. Maybe add something to the title link like "Chiss (Legends)", and when/if we make a new entry using more recent canon material (if they'll ever give it to us), we call it "Chiss (Canon)" or "Chiss (2018 Update)", or something like that?